It is time to work differently in our schools to better meet the needs of our diverse learners. Central to the success students’ learning experiences are teachers who act responsively and intentionally based on a sound research regarding quality teaching and support for diverse learners. In this project educators are part of a collective of professionals who work collaboratively to ensure the learning needs of each individual are met. In order for the power of this collective to work, schools and classrooms that adopt a belief system that embraces inclusion and incorporates differentiated strategies and structures that enable all learners to thrive. Through collaborative planning, teaching and reflection educators respond to the diversity of learning in their classrooms. Teams from elementary, middle and secondary school teams come together several times a year to further develop and share their Collaborative Models of Support. Approaches explored include School-Based Teams, Collaborative Teaching, Class Reviews, Universal Design for Learning, and Backward Design (Understanding by Design). 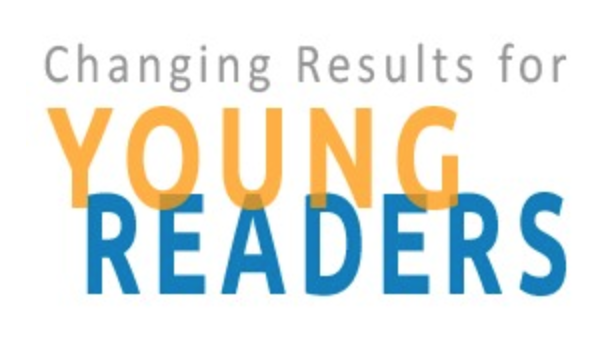 The goals of the Changing Results for Young Readers initiative is to increase the number of BC children who are engaged, successful readers. The initiative will use current research and an understanding of what fosters reading success. Every student has the potential to be a successful reader and teachers work hard to allow every student to participate in literacy activities. Teachers create an environment rich in language, oral expression, respect and understanding. They work on developing not only reading skills but also thinking skills, including self-awareness and self-regulation, which act as gateways to reading. They provide meaningful reading materials that appeal to different interests. And they provide choices about when and where to read and how to use and extend what students learn from reading. Successful early reading is not just a matter of teaching children how to read but also of building an environment that fosters and supports strong literacy skills. That means teaming with schools and families to build a community of reading, within and beyond the classroom. Perhaps more than anything, it means supporting learners to be proficient readers and most importantly, experience the joy of reading. Every child can learn to read, and every child wants to read. In partnership with teachers, districts, families, communities and students themselves, our goal is to give them that opportunity. Schnellert, L. In Woolfolk, A., Winne, P.H.& Perry, N.E. (2015). Educational Psychology, 6th Canadian Edition. Toronto, ON: Pearson Canada. (2015): 494. Butler, D. & Schnellert, L. (2015). “Success for students with learning disabilities: What does self-regulation have to do with it?” In T. Cleary (Ed. ), Self-regulated learning interventions with at-risk populations: Academic, mental health, and contextual considerations. Washington, DC: American Psychological Association Press. Butler, D. L., Schnellert, L., & MacNeil, K. (2015). Collaborative inquiry and distributed agency in educational change: A case study of a multi-level community of inquiry. Journal of Educational Change. 16(1):1-26. Schnellert, L., Richardson, P. & Cherkowski, S. (2014). “Teacher educator professional development as reflexive inquiry”. LEARNing Landscapes 8(1): 233-250. Schnellert, L., & Butler, D.L. (2014, June). Collaborative inquiry: Empowering teachers in their professional development. Education Canada. 54(3): 18-22. Butler, D. L., Schnellert, L., & Cartier, S. C. (2013). Layers of self- and co-regulation: Teachers working collaboratively to support adolescents’ self-regulated learning through reading. Education Research International, vol. 2013, (19 pages). doi:10.1155/2013/845694. Schnellert, L. (2011). Collaborative inquiry: Teacher professional development as situated, responsive co-construction of practice and learning. (Doctoral dissertation). Retrieved from https://circle.ubc.ca/handle/2429/38245. Butler, D. L., Cartier, S.C., Schnellert, L., Gagnon, F., & Giammarino, M. (2011). Secondary students’ self-regulated engagement in reading: Researching self-regulation as situated in context. Psychological Test and Assessment Modeling, 53(1), 73-105. 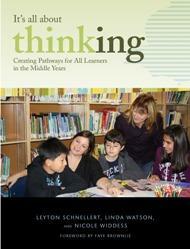 Schnellert, L. & Widdess, N. In Hume, Karen’s Tuned out: Engaging the 21st century learner. Pearson Canada. (2010): 217. Schnellert, L., Butler. D., & Higginson, S. (2008). Co-constructors of data, co-constructors of meaning: Teacher professional development in an age of accountability. Teaching and Teacher Education, 24 (3), 725-750. Nicholson, D., Schnellert, L., Rideout, B., Meyer, K., & Cameron, B. (2007). Living and learning in a community of inquiry: Coming to know knowing in a self-directed doctoral seminar. Educational Insights, 11(3). Schnellert, L. & Butler, D. (2014, June). Collaborative Inquiry: Empowering teacher in their professional development. Education Canada 54(3) 31-35. Butler, D. L. & Schnellert, L. (2008). Teachers working to achieve valued outcomes for students: Making meaningful links between research and practice. Education Canada, 48(5), 36-40. Butler, D. L., Schnellert, L., & Cartier, S. C. (2005). Adolescents’ engagement in “reading to learn”: Bridging from assessment to instruction. BC Educational Leadership Research, 2, Retrieved December 2, 2005, from <http://slc.educ.ubc.ca/eJournal/index.htm>http://slc.educ.ubc.ca/eJournal/index.htm. Schnellert, L. (2007). Pressing forward: New curriculum, new literacies, new possibilities. English Practice: the Journal of BC Teachers of English Language Arts, 49 (2), 1-2. Schnellert, L. (2006). Teaching Language Arts is border crossing. English Practice: the Journal of BC Teachers of English Language Arts, 48 (2), 1. Widdess, N. & Schnellert, L. (2007). A second shot of thoughtful literacy instruction: Supporting struggling adolescent readers. English Practice: the Journal of BC Teachers of English Language Arts, 49(1), 7-22. Schnellert, L. & Widdess, N. (2005). Student-generated criteria, free verse poetry, and residential schools. English Practice: the Journal of BC Teachers of English Language Arts, 47 (2), 19-28. Schnellert, L. (2005). Engaging middle years writers in improving their writing while becoming self- and other-wise. English Practice: the Journal of BC Teachers of English Language Arts, 47 (1), 20-28. Schnellert, L. (2004). Strengthening student writing network: Teachers meeting with teachers to share with and support one another. English Practice: the Journal of BC Teachers of English Language Arts, 46 (2). In this podcast Dr. Leyton Schnellert discusses the importance of self-regulation and metacognition in literacy learning. Strategies such as four words, collaborative summaries, and exit slips illustrate how teachers can support students to develop self-regulation and metacognition in the classroom. Do you feel pressured to cover an impossible amount of material in your English language arts curriculum? How can you use longer units of study to achieve a saner pace while still developing thinking skills and assessing effectively? 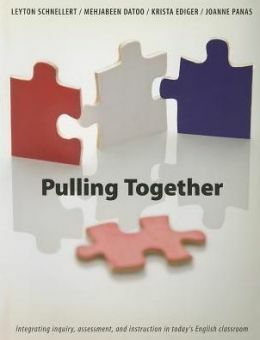 Listen as Mehjabeen Datoo and Leyton Schnellert discuss their latest book, Pulling Together, and how teachers can use as few as three units during a school year while using diverse texts to engage students, differentiate, and build confidence. When great minds come together that share the common goal of enhancing student learning and achievement, great things happen. Educators are incredibly creative and effective at what they do. Coming together benefits everybody: educators and students. Learning is a social enterprise and classrooms are rich grounds for learning. Students learn with and from each other. The unique makeup of each class determines the dynamics of the classroom. In order to ensure effective student engagement, it is important to understand and consider the strengths, interests, areas of need for students, and group to effective learning in the classroom. Leyton’s presentation explores ways we can all work together to respond to diversity. The presentation looks at designing instruction and developing learning-centred classrooms that build enduring understandings, thinking strategies and skills. Leyton looks at ways to engage all learners, from designing instruction that responds to diversity, to developing learning-centred classrooms where all students engage in deep content learning that builds thinking strategies and skills. 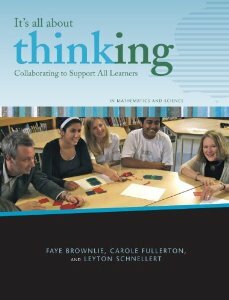 In this video, Leyton and Faye share some thoughts and insights into their latest book, It’s All About Thinking: Collaborating to Support All learners. In this video interview, Leyton discusses the University of British Columbia adolescent literacy research.